I invested in a new notebook. 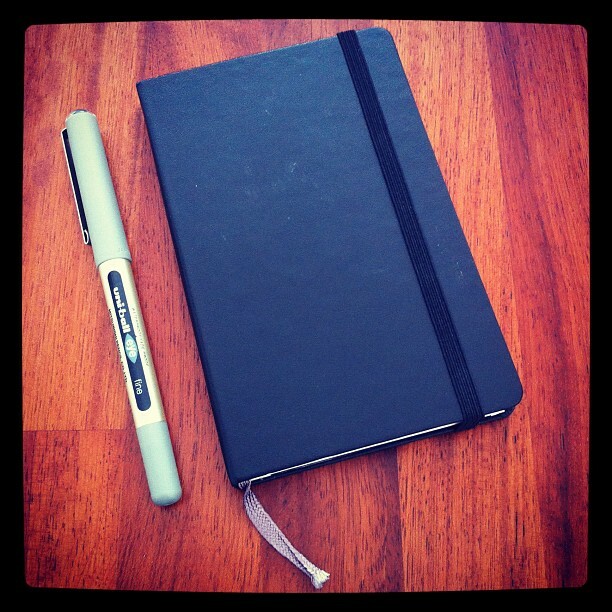 A simple lined moleskin, smaller then my usual letter / A4 sized writing book. I often like to jot down experiences and observations when I am on the move. I thought this was the perfect size. I love how in the back there is a little wallet for secret things containing the story of moleskin. I have realised stationery is one of my favourite things. I use a uniball for writing, it gives a nice flow. What are your favourite writing tools?